As much as I would like to have chickens of my own, I have yet to explore such an undertaking. 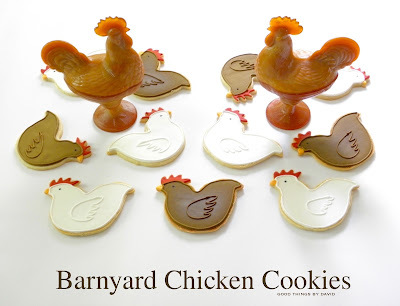 In the meantime I can decorate sugar cookies in the shape of these barnyard animals with one cookie cutter, a good sugar cookie recipe and a handful of colors of royal icing. Do you remember those cookies I made from 'The Little Red Hen' a while back which were a big hit with some local kids? These caught the attention of someone I know who wanted a set of chicken cookies in more traditional colors. A mix of brown and white chickens were enhanced with nothing more than red combs and yellow beaks. Aren't they cute? 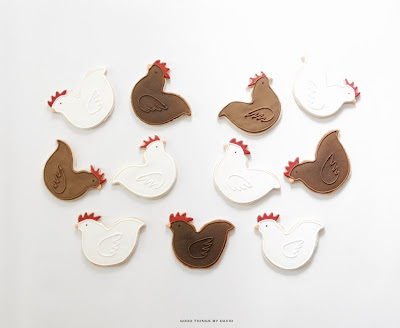 Using the same cookie cutter (above) I used for the Little Red Hen Cookies, I cut out and altered the original shape to make it more suitable for this particular request. The arrows in this photo show you how I adjusted the cut outs. Some back feathers, the extended legs and the wattle were cut out after the cookies were placed on baking sheets. The shapes were then baked and cooled before icing. Note: some cookies were flipped over to have them facing the other direction. 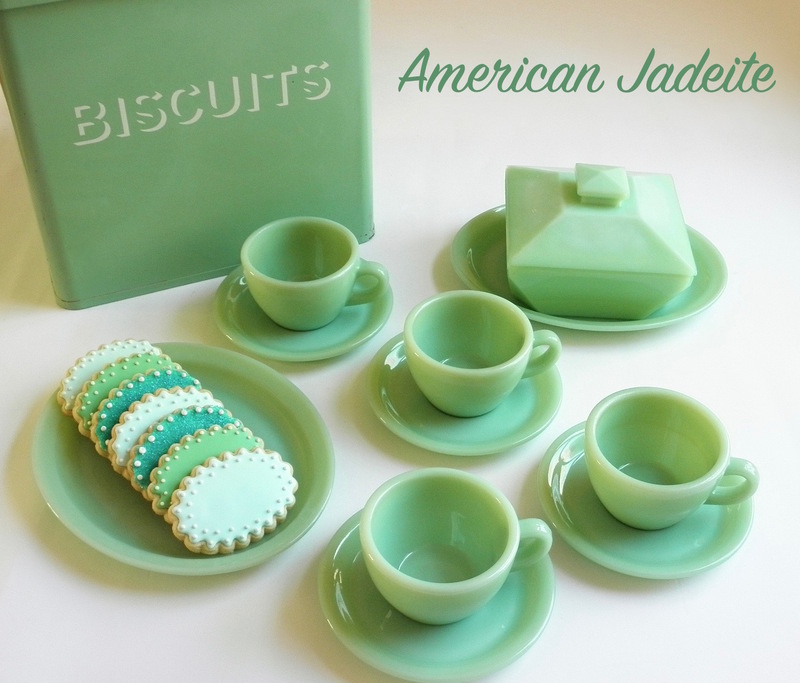 This made the set of cookies a bit more interesting. The bodies of the chickens are outlined and flooded with either white or brown royal icing; the combs and beaks are also outlined and flooded with their corresponding colors. A small black dot is added for an eye to the wet base. Let the cookies dry completely before enhancing them. A bead of icing is then piped around the body in the same color, and small wings are added. Simple. Easy! This gorgeous rooster made of caramel glass, also known as slag glass, is from my collection of Martha by Mail, L.E. Smith Glass. I love its rich caramel color, its detailed body and how well it complements my kitchen. If you look closely, you can see variations in color. 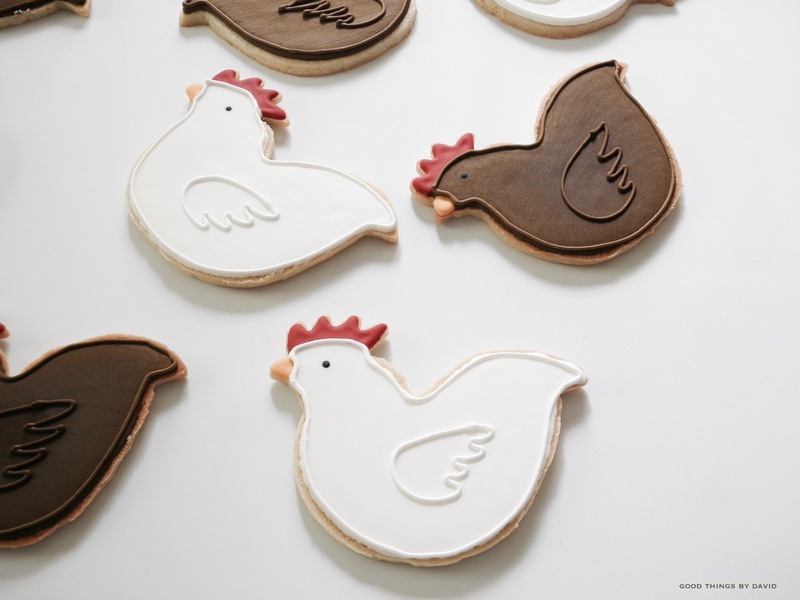 Make some chicken sugar cookies for someone who loves chickens and/or raises chickens. 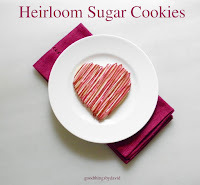 Line the feathered sweets on a platter or stack them high on a cake stand. 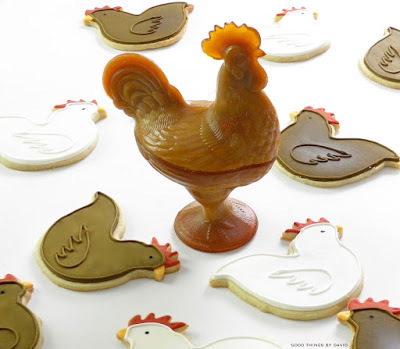 If you wish, you can pipe feathers with stiff royal icing to make them even more unique or you can use various colors to render a very interesting flock. Don't forget to keep one or two for yourself! 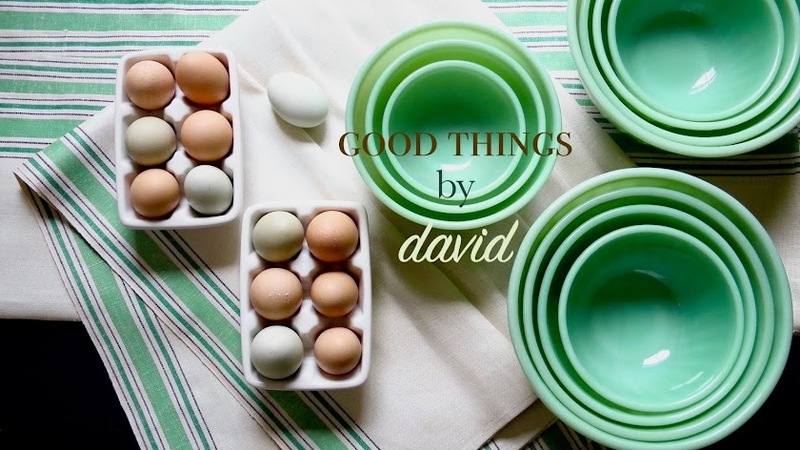 What charming hens and made from a rooster cutter no less! You are quite the genius, if not a little Lorena Bobbit! HA HA! 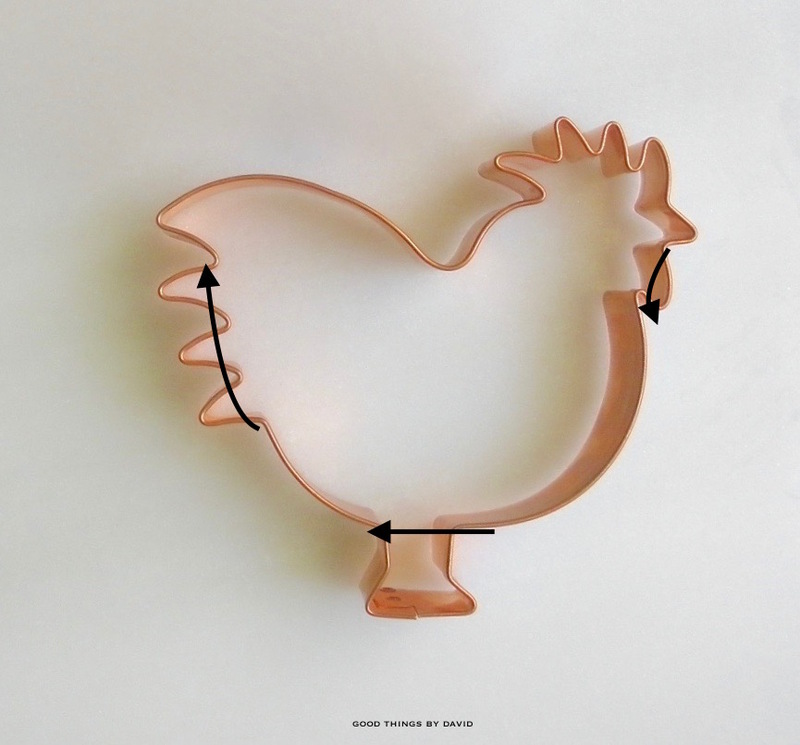 Hi David - Where did you get the fab rooster cookie cutter? Hi Itagavi, that rooster cookie cutter was purchased from a friend of mine, who found it in a shop in Monterrey, California. It's awesome, isn't it?